It’s not just because these are clever words written by a clever man — it’s because this quote has the power of truth behind it. At the South LA Shelter Intervention program, we see this piece of wisdom in action time and time again. 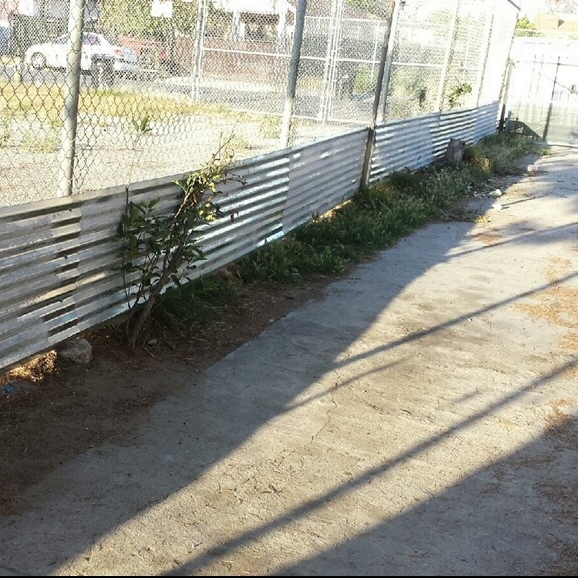 Taking it one step further, in South LA, good fences (or gates) save lives. 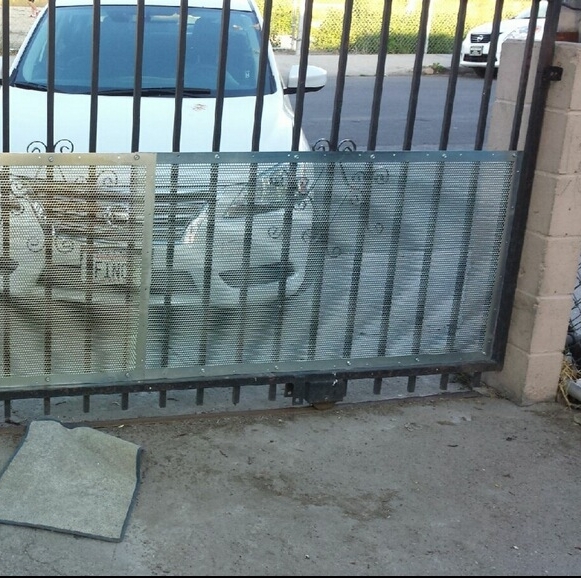 Fence and gate repairs is one of the services we offer to help keep dogs out of the shelter and in their homes. 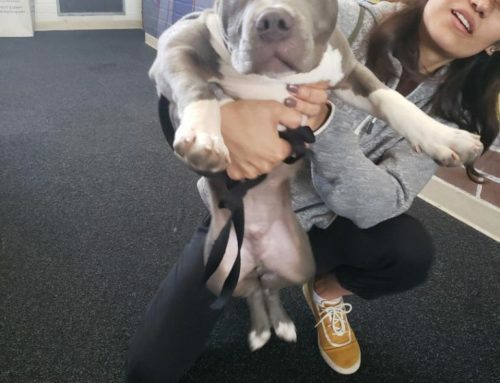 The majority of these requests are initiated by animal control officers who visit a home and cite a dog owner for not adequately containing their dog in the yard. This can be a very challenging citation for a dog owner, especially if he or she is a renter or doesn’t have the money or skills to make the necessary improvements to secure their yard. That’s where we come in and offer assistance as best we can. 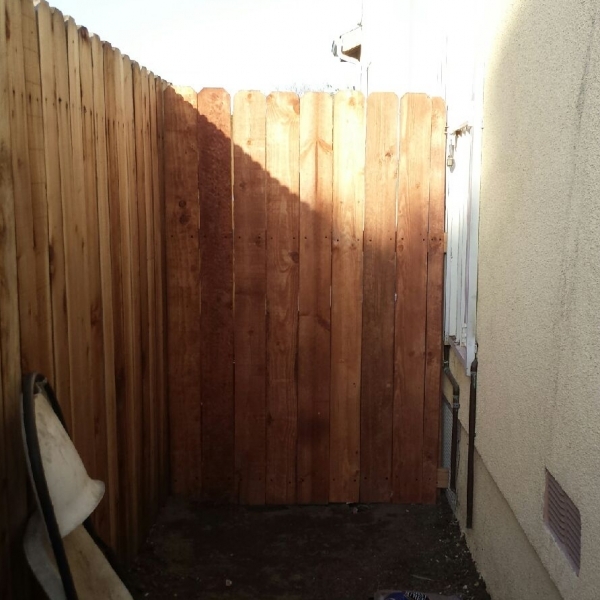 Before sending out a handyman to support the family, we must first obtain permission from a landlord to repair or replace a fence. This can be a greater obstacle than you might imagine. For example, in one of the areas that we regularly service (90003), there are approximately 17,500 homes, condos, and apartments within 3.6 square miles. Roughly 68% of the people living in this very densely populated area are renters. 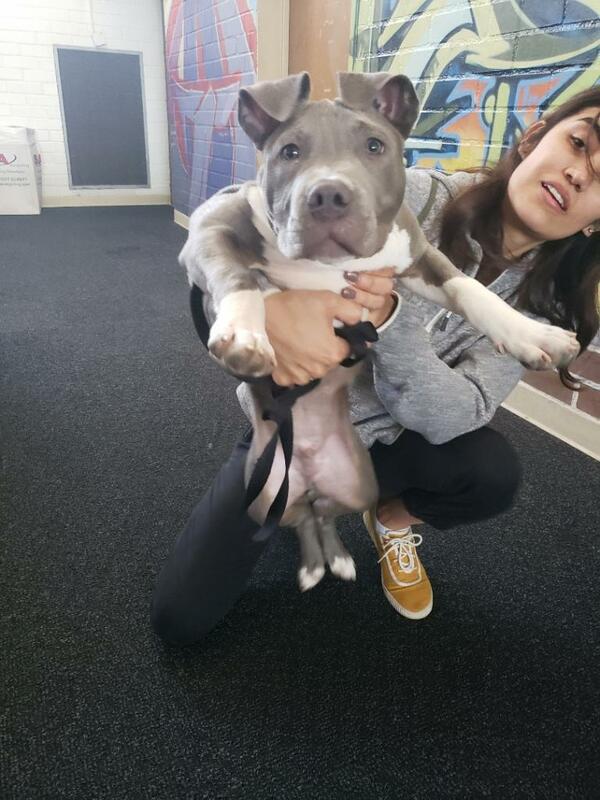 Therefore every repair that we make to a property requires not only the approval of the dog owner, but first the approval of the property owner. This requires our time and also much convincing as many property owners are not initially receptive to the idea. Other times we meet families who feel pressured to relinquish their pets due to disagreements with neighbors. 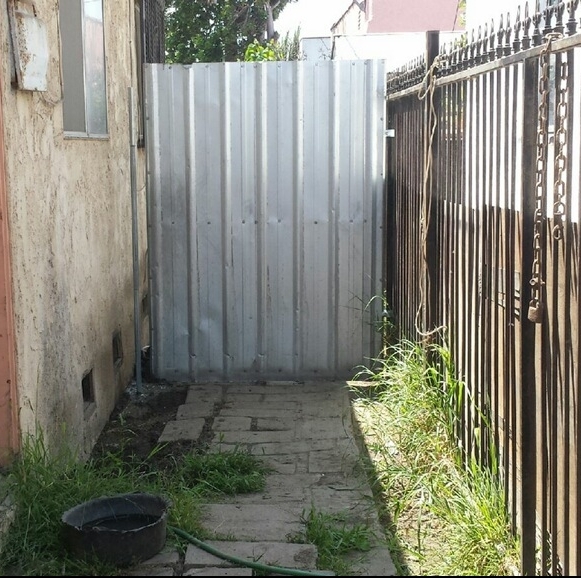 In these cases, simple fence or gate improvements can create peace between neighbors. Harmony is an invaluable quality when it comes to one’s living situation, and to the safety of a loved pet. The families that we help commonly say things like, “Everything was okay until a new neighbor moved in with their dog.” This is because families regularly share driveways or live on lots where two or three houses share the land. People live in converted garages, or even single family houses that have been converted to accommodate multiple families, each renting different parts of the divided house. Our job is to try our best to make it work, for the family’s sake and for the animal’s. One simple solution is putting up a sheet of metal, separating the front house from the back house. This can keep two dogs from “fence fighting,” and therefore may keep these animals from being surrendered to the shelter. 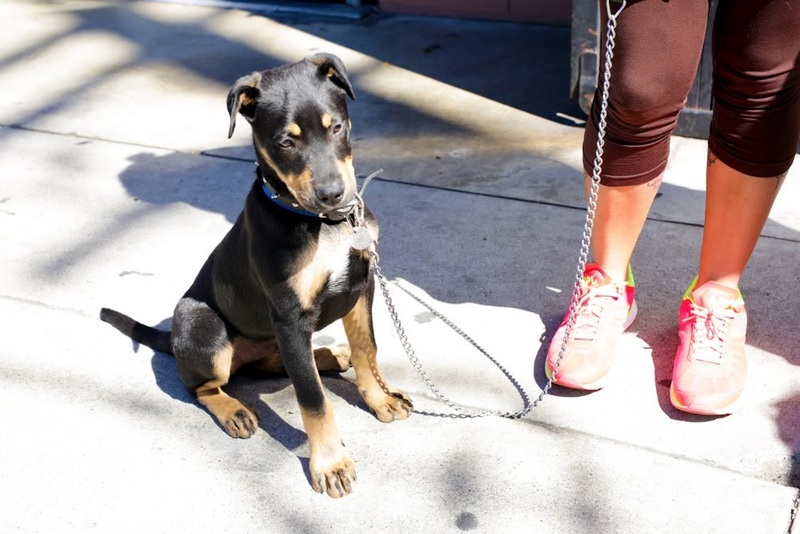 Another common fix is lining a chain link fence with aluminum siding, which prevents small dogs from slipping out and getting into the street (where they are often hit by a car or attacked by larger dogs.) Unfortunately, there are parts of South LA where dogs roam free. You might think these are strays, and some could be; but most of these pups have homes with inadequate fences and gates. 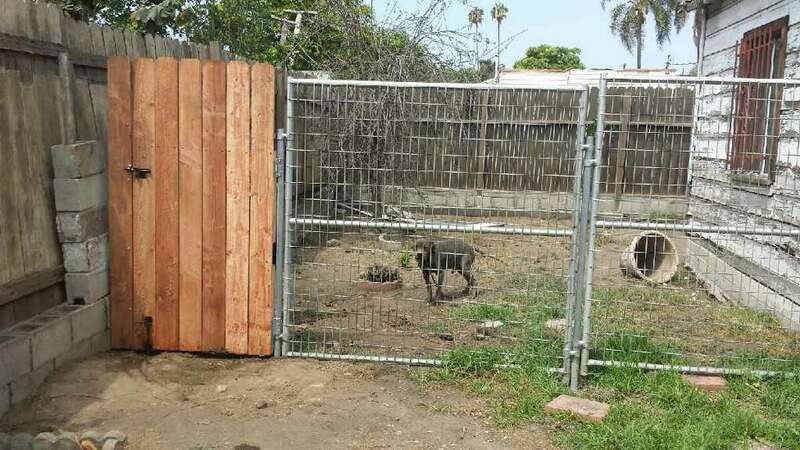 Even lining a gate with metal panels of chicken wire can keep small dogs safe. 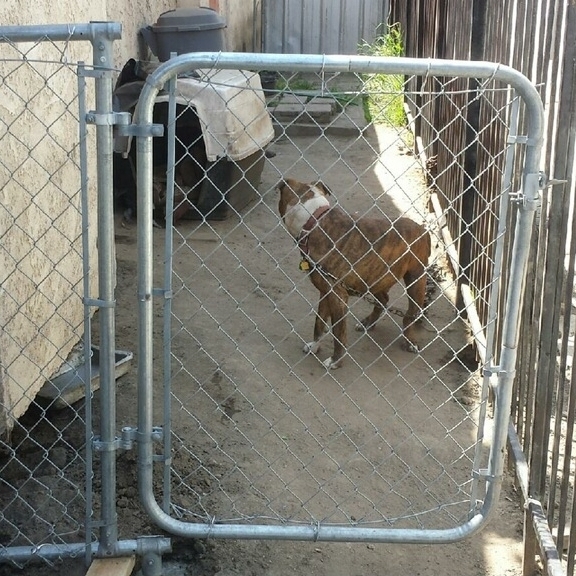 Gate repair also helps to prevent dogs from being chained or tethered, which is an easy go-to for many families who can’t afford otherwise. This is another common Notice To Comply citation that we assist with at our intervention table. While every situation is unique, most of the cases we take on involve a big dog on a chain and a yard that is not secure. 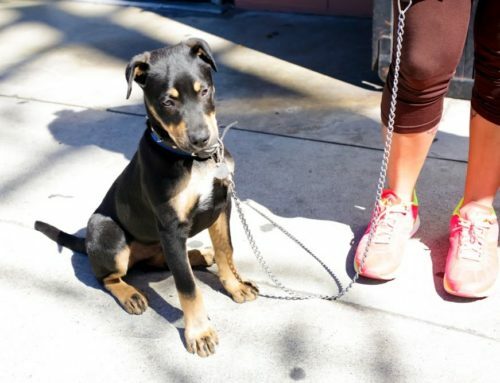 Please note — most of the time the dog is not tethered because the owner is wanting to punish the dog or is uncaring! They simply don’t know or have another way to contain their pet, and they’d like to keep their animals. This is usually the case for working dogs, which we refer to as dogs who live outside and protect the home. Although some of you do not agree with this practice, this is a reality in many of the communities we serve. We do not intend to make excuses for these families, but rather to seek answers instead of more problems. 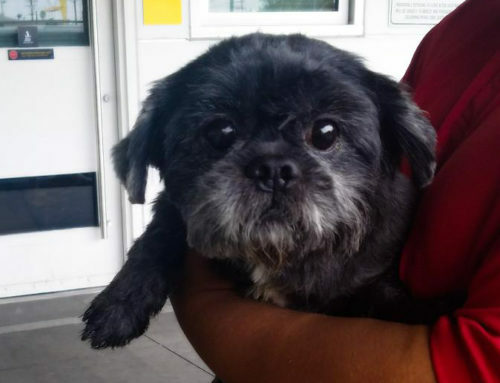 Would that animal be better off at a shelter? Euthanized? We understand the need because the crime rate is higher in these areas than in most parts of Los Angeles. Because multiple family members often share a home, sometimes up to 10-12 people in one single home renting out rooms where even the garage is being utilized. There may be no feasible place for the dog to live other than the yard. Do we prefer dogs to live outside? No. 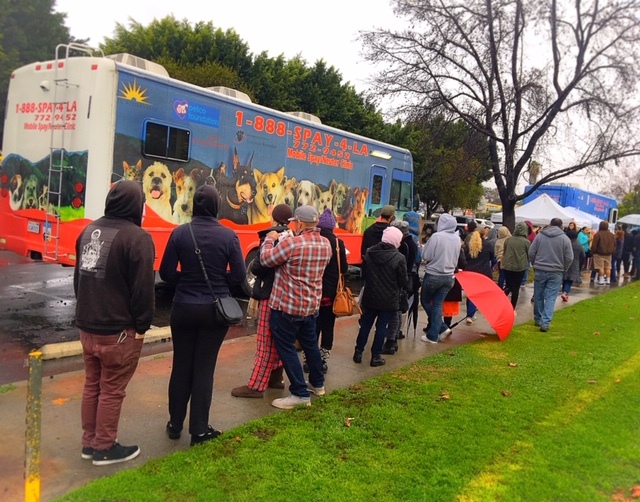 However, if even one home dweller does not want the pet living indoors, we try to do all we can to create the most optimal outdoor area for the pet, instead of shaming the owner and finding the dog in a shelter kennel. When we visit a home, our overall goal is to create the most humane and safe living area for the dog(s) on the property. We have a wonderful handyman who is bilingual, and incredibly creative in terms of how he repurposes items that have been donated or discarded on the street. If we must, we purchase supplies from Home Depot, aiming for cost efficiency, safety, and ingenuity. 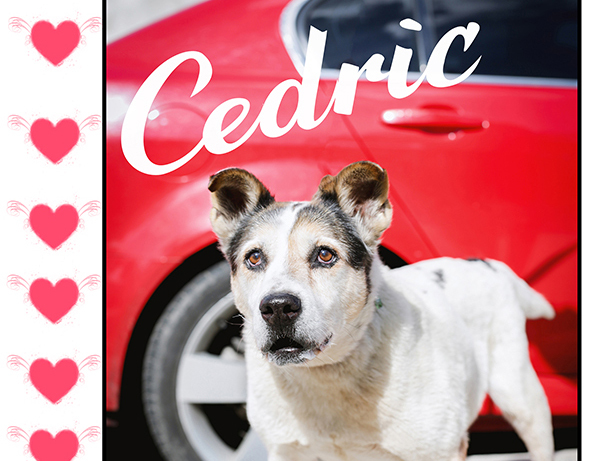 Our leading question is: How can we make this work so that dog is happiest and safest, as well as considering the family and neighbors too? Securing more yards keeps more stray dogs from entering the shelter, period. Too often a dog does get out and the owner can’t pay the redemption fees to reclaim the pet. 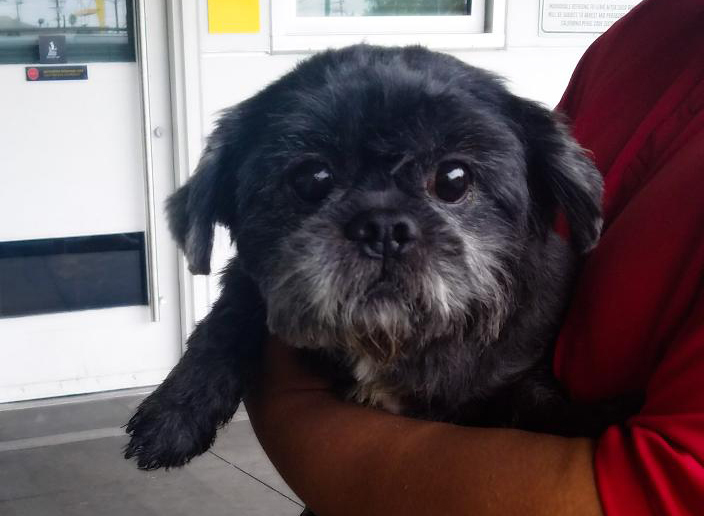 We encourage you to walk through any shelter and see the variety of dogs marked as “stray,” waiting for their family to show up, waiting to be rescued or adopted. 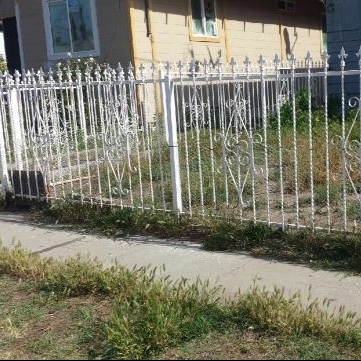 We can’t help but wonder: How many have a home that just needed a simple gate or fence repair to stay secure? We believe it is important to keep an open mind when it comes to servicing the community and trying to make a lasting difference. Thankfully, many of us have never encountered nor will ever encounter what some of our families endure on a daily basis. But we believe most families are doing the best they can with the sometimes limited resources they have. Nevertheless, a dog in a yard held by a broken or wobbly gate is a problem, a problem that often snowballs into bigger consequences for all. We say let’s address the problem, and keep dogs in loving homes as much as we can.